Pickup from Cochin airport/ railway station .Depart for Hotel arrive & check inn at hotel. Evening visit local sightseeing of Cochin including, Chinese Fishing Point, Old Church & Handicraft Market. Evening you can enjoy shopping at local markets & visit Lulu Mall. Night stay at Cochin. 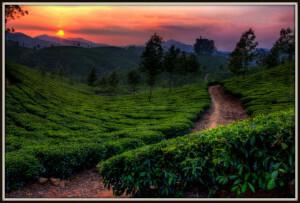 After Breakfast check out from the Hotel .Proceed for the green hills of Munnar. approx. 110 kms. On arrival check in at the hotel. Evening is free for relaxation. Overnight at the hotel. Today proceed to Periyar wildlife Reserve. In Periyar you could spot a family of Elephants, Wild Boar or Sambar Deer by the water’s edge. Proceed to Kumarakom approx. 120 Kms, the backwater region of Kerala. Upon arrival check in to your hotel. Rest in the eveing is free to relax. Overnight stay in Alleppey. 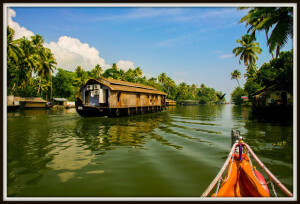 07th Feb Alleppey – Kochin Leave for Kochin approx – 60 Kms/ 1.5 Hrs. Sightseeing in Kochin & Drop at Kochin Airport/ Railway station for onwards journey.